In order to bid you must First Register on the website by going to “Our Listings” tab and selecting “REGISTER”. Write down your login information (user name, password and email address) as you will need it when you “SIGN IN” next time. If you need an Agent to represent you, please Contact me. 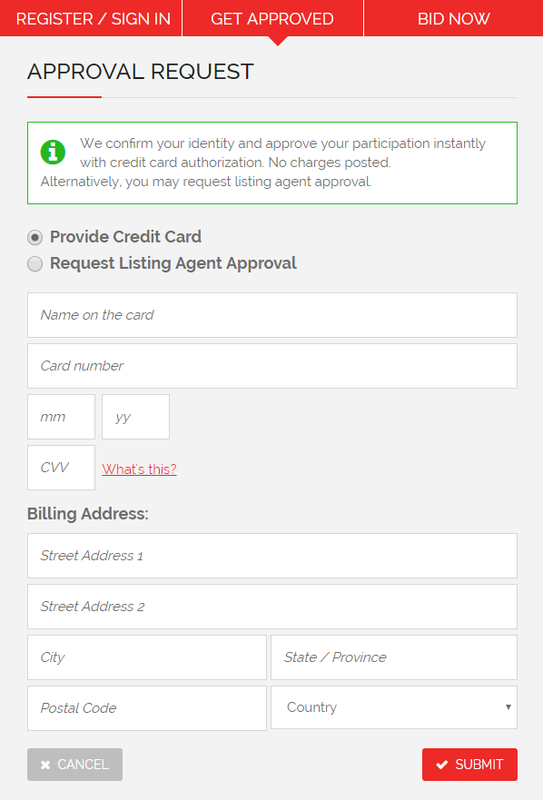 Agent representing a buyer please follow the the registration process and checked "I am an agent" box. Enter the code that is shown above the box, then click “REGISTER”. You Must first be Approved in Order to Place a Bid/Offer. Click the “Bid/Buy Now” button and follow the instructions on the popup window. 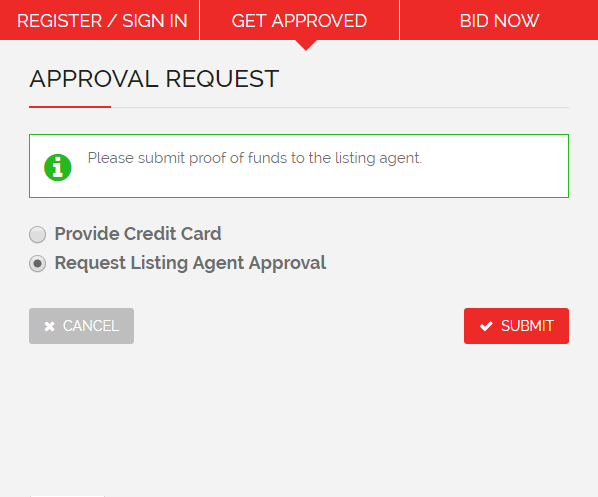 Click the “Bid/Buy Now” button.In the popup window check "Request Listing Agent Approval" and click "Submit". You may place your bid up to the “maximum high” that you are willing to offer on the property. The system is designed to raise your bid in increments of $1,000 above the last bid placed only. If the current bid is $100,000 and you set your “maximum high” of $150,000 the system will raise your bid only to $101,000 and you will be shown as the high bidder. If someone places another bid of $102,000, the system will automatically increase your bid again to $103,000 and so on. If someone, places a higher bid, say $120,000 the system will automatically increase your bid to $121,000 and so on. However, if someone places a bid of $151,000 or greater this person will be selected as a high bidder and the system will no longer increase your bid since your “maximum bid” would have been exceeded. Our system Prevents Last Second Bidding by Automatically Extending the Bidding Time. If a bidder places a bid within 5 minutes of the end of the bidding time, the system will automatically extend the bidding time by 10 minutes in order to allow other bidders the opportunity to respond. If You Are The Winning Bidder: Please have your agent submit a signed purchase agreement to the seller within the time specified in “sale terms and conditions” (please see the posting details). If you do not have an agent, please Contact me.